As a lifelong learner, one of the most exciting developments announced at the SBC this week was The Gospel Project, LifeWay’s first new Bible study series for adults, students, and children in more than 10 years. 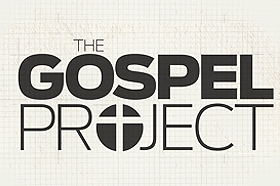 The Gospel Project (TGP) is a three-year, in-depth study that launches this fall. Over 12,000 churches have already participated in a pilot project this spring, and the response has been overwhelmingly positive. For more information about The Gospel Project, go to GospelProject.com. To see the video announcing The Gospel Project, click here. This entry was posted in LifeWay and tagged Bible study, Lifelong Learning, LifeWay, The Gospel Project. Bookmark the permalink.